Kia Motors is South Korea's oldest automobile manufacturer company and one of the fastest growing stars in the global motor industry. 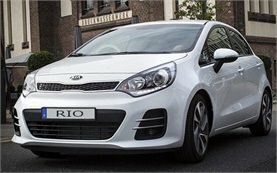 Kia is becoming an increasingly popular brand worldwide despite its reputation for being inferior to most other brands. After the takeover by Hyundai, sales have rapidly leaped up and Kia has proved that that value-for-money does not mean compromise in quality. Kia's recent expansion in Europe shows that more than ever the brand has been winning the trust of motorists for the reliability, quality and safety of all its vehicles. Today's Kia range is designed to appeal to European tastes, offering plenty of choice and variety. 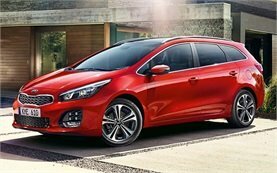 So, whether you are considering hiring a city car, people carrier, family-friendly hatchback or well-equipped four-door saloon, Kia has a model that can match all your car hire needs. If you rent a Kia vehicle in Bulgaria, you can be sure that you will have an enjoyable car hire experience as the brand's key characteristics are fun, funky and fresh. 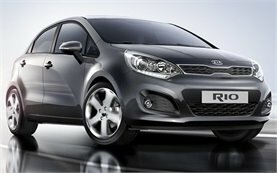 Some popular car hire Kia models include the Kia Sorento, Sportage, and the Picanto. The Kia Sorento is a spacious 4WD vehicle that can get you over the most challenging terrain, plus it has everything you will ever need for town or country in Bulgaria.